Please join us in welcoming one of our newest Attorneys, Mr. Guy Saint Pol Maydieu. Guy is a Maryland native having grown up in Montgomery County and graduating from Thomas S. Wootton High School in 2002. He received his Bachelors of Science Degree at Old Dominion University in 2007. Following his graduation from Old Dominion University, he served in the United States Army. While on active duty, he deployed overseas from 2010 to 2011. Guy left the United States Army in 2012. He then entered the University of Baltimore School of Law in the Fall of 2012. While in law school, Guy was a member of the Brand Names Moot Court Team. He also worked as a Law Clerk for the Office of the Public Defender. In his final year of law school, Guy worked as a Legal Assistant for a Private Criminal Defense Attorney in Baltimore City. He received his Juris Doctorate, with Honors, in the Spring of 2015. Since graduating from law school, Guy has been in private practice. 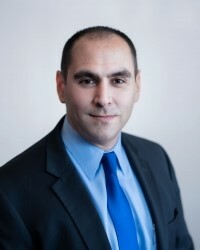 His practice areas include personal injury and criminal defense. In his spare time, Guy enjoys watching movies and television shows, reading, and running. In March of this year one of our clients was involved in a Baltimore rear-end accident. Although there was not significant damage to the vehicles, our client still experienced a decent jolt. Human bodies are not meant to withhold the same impact as a vehicle. The other party’s insurance company did accept liability, however they only accepted liability for the vehicle damage; not our clients injury. After she was finished with the treatment her doctor recommended, it was time to put her demand in for settlement. However, because her bodily injury claim was denied, Geico wasn’t willing to make an offer. Our attorney, Mr. Simran Rahi, took the case to Baltimore City’s District court and obtained a verdict of $12,423.10 plus court costs. At first our client was afraid she wouldn’t receive any compensation after the accident, now she’s grateful she chose Portner & Shure for her accident case. 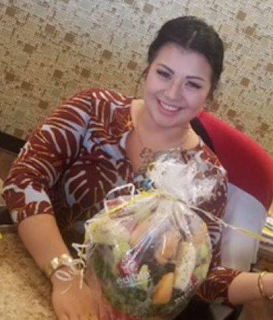 Please join us in putting the spotlight on our lead receptionist, Ms. Ana Alvarenga! Before coming to Portner & Shure Ana lived in Canada where she obtained her nursing degree from the College of Ontario. Ana has been with us for a little less than a year and has already proven to be a great asset to our team. During her time with us she has grown from being a new receptionist, to now training our new front desk staff, and even assisting several paralegals on claims work. The fact that she’s bilingual is just an additional plus! While she’s not conquering new tasks at Portner & Shure, she is a devoted mother to her two girls- ages four and six, cares for her many animals, and likes to create pottery. Needless to say, we’re thrilled Ana found her way to our firm and can’t wait to see what else she’s capable of!